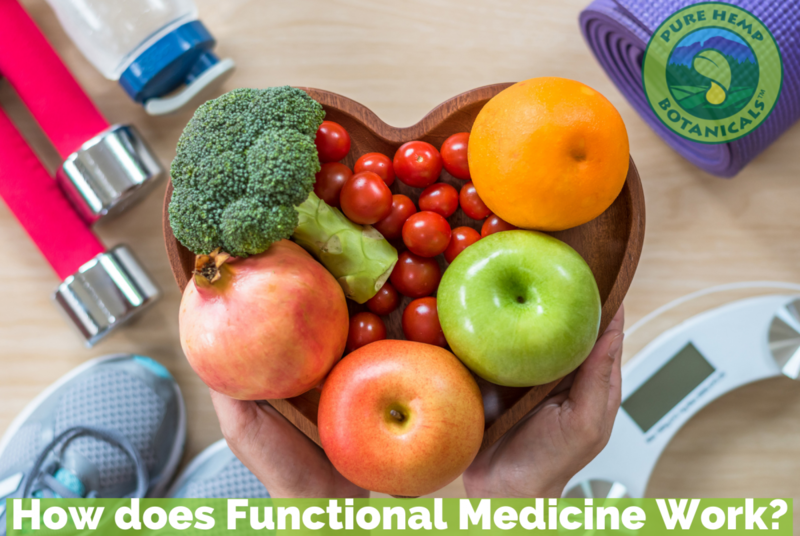 Home/Curated, Healthy Lifestyle/How does Functional Medicine Work? To break it down into easier terms. Those who practice functional medicine look at the problem and instead of just calling it by it’s name and finding a generic solution to it they would dig deeper to find the root to the problem and fix THAT instead. But how exactly does it work? In her article “Functional Medicine: What’s All the Hype?” Valerie Sjobergerg describes functional medicine as a tree. I’ll break it down but you can find her full article here: https://chopra.com/articles/functional-medicine-what%E2%80%99s-all-the-hype. A FM practitioner acts like a detective, exploring the clinical imbalances that give rise to your symptoms, then delving into the root causes—environmental factors and genetic tendencies that influence your health. This clinical model can be compared to a tree, where the leaves represent the symptoms, the trunk represents imbalances, and the roots are the environmental and genetic dispositions. Your symptoms are equivalent to the leaves of a tree: highly visible and an important indication of your underlying health. FM practitioners use symptoms as guides to better understand the underlying imbalances, rather than focusing on treating symptoms directly (which is important, but not the ultimate goal). A condition as simple as chronic headaches could point to an imbalance in one or many of these categories, and it is the responsibility of an FM practitioner to determine what system or process is not optimally functioning. Environmental inputs and your genetic disposition are similar to the roots of a tree: they give rise to clinical imbalances, which then turn into symptoms. Are you getting the right nutrients and exercise? Are you exposed to toxic chemicals or radiation? Could you possibly have parasites (it’s more common than you think!)? Do you have a healthy support network? Genetic Disposition. Environmental factors are filtered through your genetic (physical, mental, and emotional) tendencies. Your attitudes, beliefs, and the unique way your body and mind process environmental inputs can influence your susceptibility to developing certain conditions. Often, altering your perception of a situation, processing a traumatic memory, or learning how to better manage stress can go a long way in your healing.